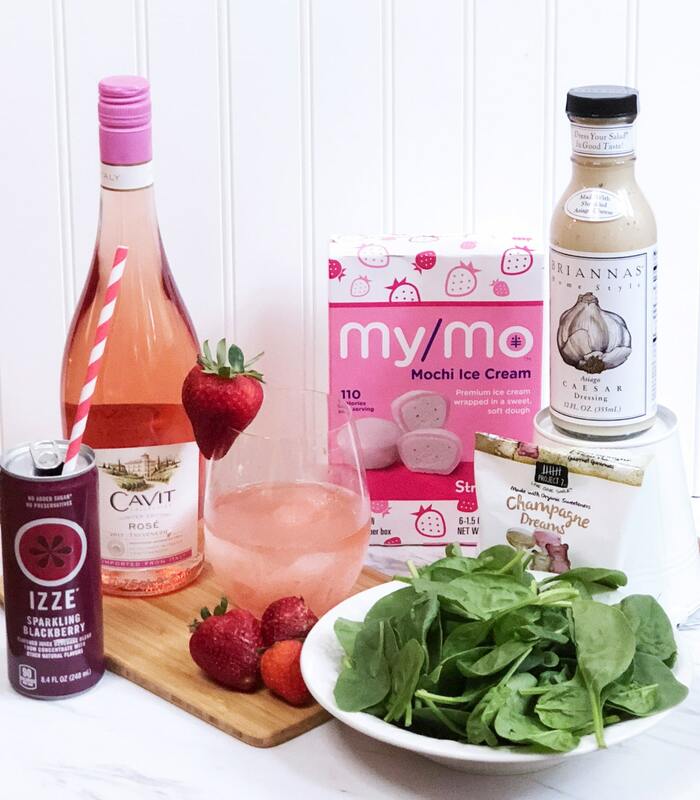 This Frosé (Frozen Rosé) recipe post is sponsored by BabbleBoxx.com. I am quite the connoisseur of frozen adult beverages. They are usually my go-to to order on a hot day. They don’t always have to be fruity, either, just frozen and refreshing! 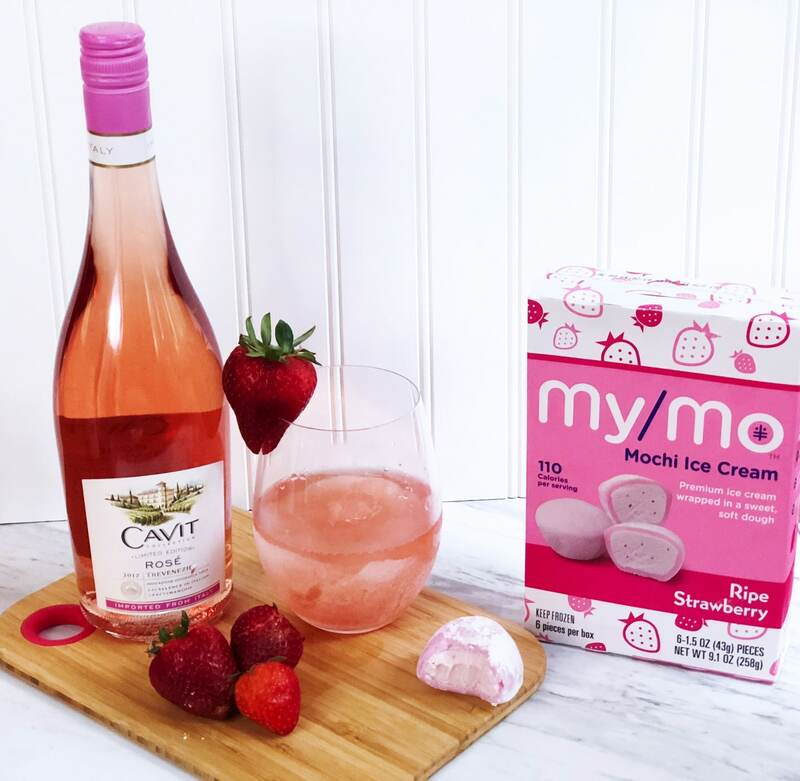 With a holiday weekend approaching, I knew it was time to get out some Cavit Rosé and my ice cream / slush maker and make a batch for our guests…and if I’m being honest, for myself, too! I do enjoy a Rosé chilled and served in a wine glass, but when it’s super hot outside, making it a frozen treat is even better. 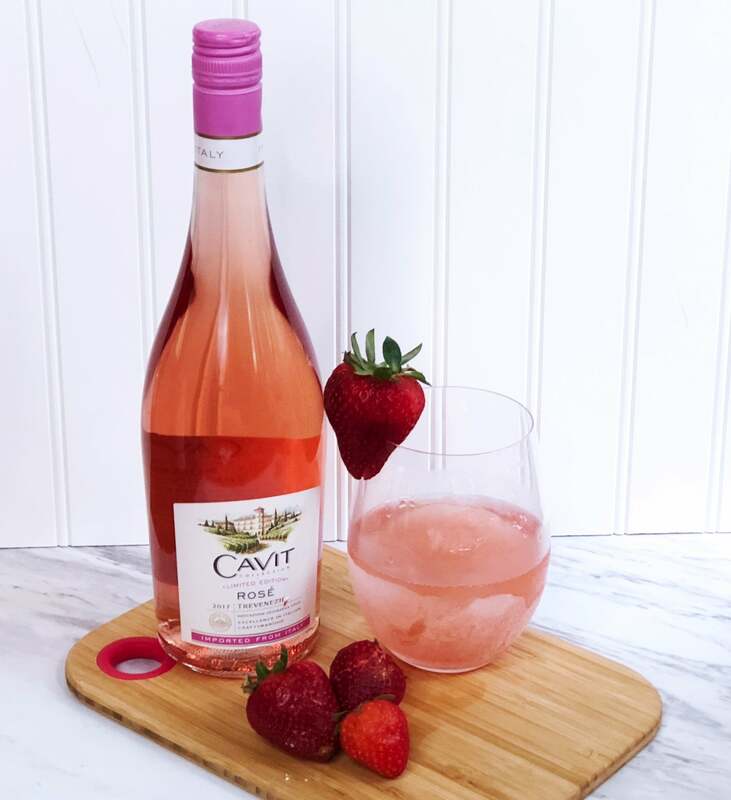 I was sent the Cavit Rosé which offers the delicate and pleasing aromas and flavors of raspberry, strawberry, cherry and watermelon with a well-balanced, fresh, dry, Provence-style character of extraordinary quality. With all of those delicate notes without an overbearingly sweet taste, it pairs well with many meals as well as before them. In fact, we had some before our holiday grill out as well as during. And maybe after, too! It’s the perfect light, fresh and crisp choice for Summer sipping or making into Frosé at a very reasonable price. You’ll need one bottle of Rosé, a 1/4 cup of vodka and 1/4-1/2 cup of homemade strawberry simple syrup (you’ll find my recipe there). 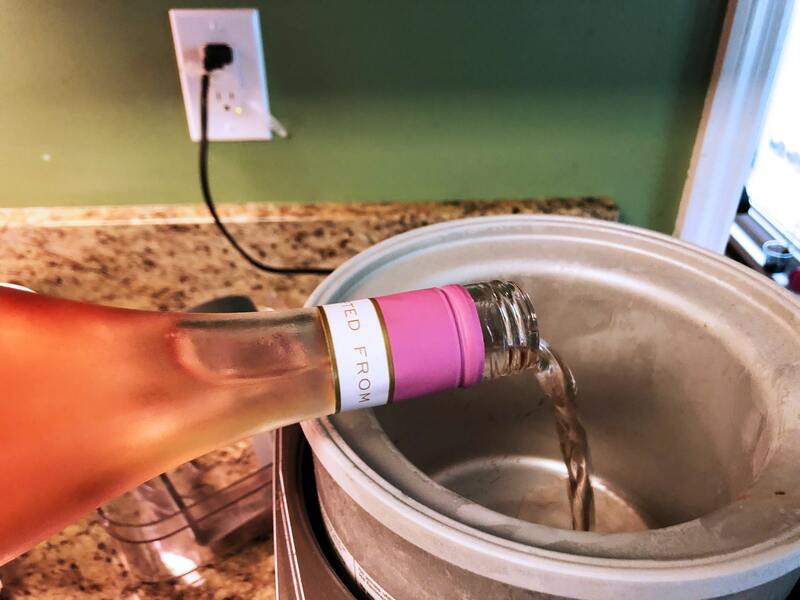 Now, here’s where you have options, you can pour your Rosé into a large zippered freezer bag and freeze it overnight, you can pour it into an ice cube tray, or you can use it straight from the bottle and pour it into an ice cream/slushy maker like I did. They will all have the same result. 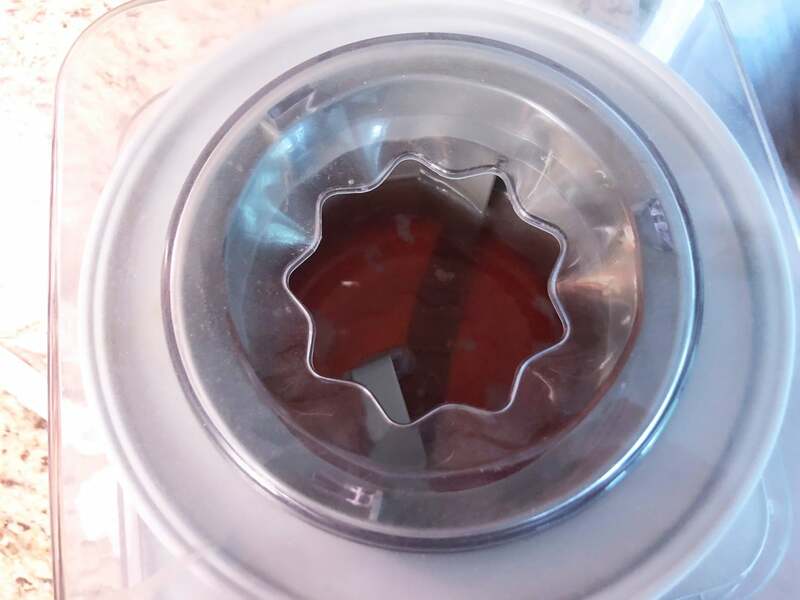 If you are going the route of the ice cream maker, you pour all of the ingredients in and turn it on until it’s a desired consistency (about 30 minutes). If you are going with the pre-freezing option in bags or ice cube trays, put all of the ingredients into a blender and blend until mixed. Use the tools you have! We served it with a strawberry garnish and it was very quickly enjoyed. Of course, when the kids saw the ice cream maker, they thought it was out for them. We had to quickly tell them that this was an adult beverage that was mixing. 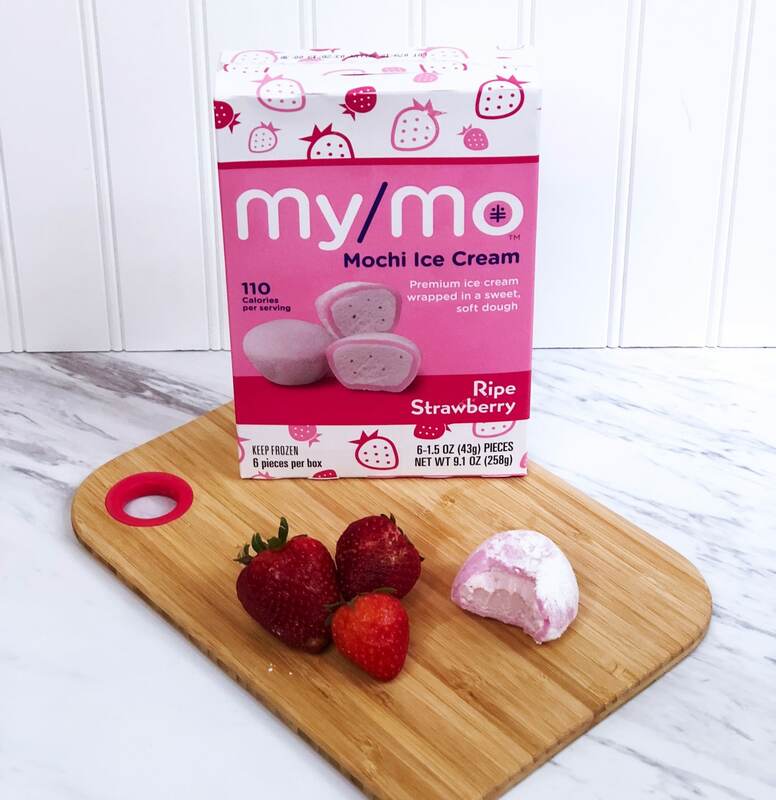 But, not to worry, I had them covered with the My/Mo Mochi ice cream treat in strawberry. None of the kids had ever tried Mochi Ice Cream before, so they all wanted to give it a taste. In fact, none of the other adults had tried this fun mochi snack, either. My/Mo Mochi Ice Cream is two delicious parts. The outside is a sweet rice dough called Mochi! Inside is a premium ice cream that is a milky, melty perfection. The result is a delicious and wonderful marriage of mesmerizing flavors that will have you wanting more. Find them in a store near you and bring your $1 off coupon with you. If you are an ibotta user, use this, too! In addition to our grilling, we also had a fresh salsa, bean dip, tasty salad and some sodas for the kids. We wanted to make sure everybody got a little treat for their holiday meal. And boy were our bellies full at the end of the night! 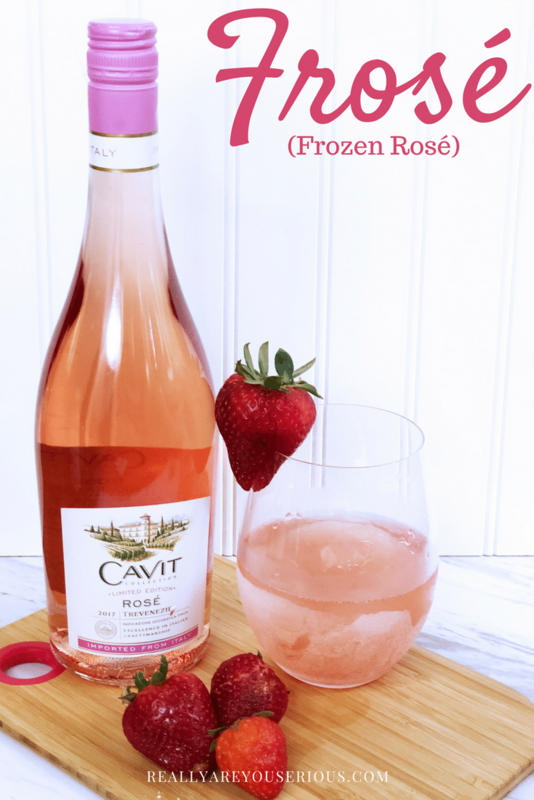 A simple and easy way to enjoy your Rosé in frozen form. Pour all ingredients into an ice cream/slushy maker and allow to chill/churn for about 30 minutes. Note: You'll need to freeze the inside piece to your maker over night. Pour the rosé into a large zippered freezer bag into an ice cube tray and freeze overnight. Place frozen rosé from bag or cubes into a blender with the other ingredients and blend to mix. I’ve never tried Mochi before but it looks yummy.